The GSU Ultimate Team will be hosting it's seventh annual Hat Tournament, Get Stuffed, at Panthersville (GSU Intramural Fields). The tournament will be comprised of (to be decided) mixed teams, and we will play 5-2 (5 men and 2 women on the field at all times, unless for some reason we get a ridiculous amount of women...fingers crossed). You may sign up as an individual or as a pair (3 way pairs will not be accommodated). We welcome all players from any skill level and division of play. This is a one day tournament. There will be (# to be decided) teams of 15 players. # pools of #, play round robin. Break for lunch. Top team in each pool plays for semis and finals. 2nd team in each pool plays for 5th. 3rd team in each pool plays for 9th. There will be some consolation rounds. Each team will play 4 games to 15, and will have 1-2 bye rounds. The $25 ($26 if paypal) entry fee includes a T-shirt, breakfast, and lunch! Also, we will have Tenacious Tea out distributing product this year, hopefully? You must register by October 31st to be guaranteed a T-shirt. 0 - Never, ever played the game before. 1 - Low Beginner: Has played once or twice before, but is still very confused out on the field. 2 - Middle Beginner: Knows the basic rules, but is just getting started with the forehand and concepts like stacking. 3 - Advanced Beginner: Knows some basic strategy, knows positions. Can throw the forehand well on the sideline, but still throws it away in a game. 4 - Low Intermediate: Just starting to feel comfortable with the forehand. Knows how to stack, and does so often. Knows positions, but still working on more advanced strategy like zone defense and offense positions. 5 - Middle Intermediate: Similar to 6, but makes a few more errors, both on offense and defense. 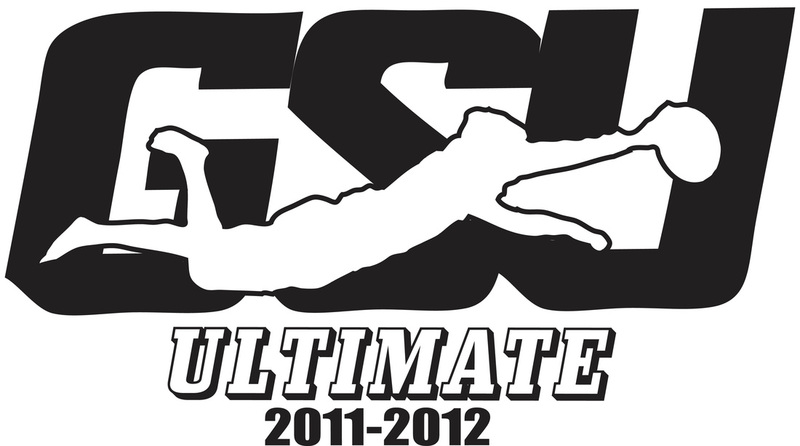 6 - Advanced Intermediate: Sound athleticism and good disc skills. Good field sense, makes the occasional mistake, gets burned occasionally. 7 - Low Expert: Plays or has played on a traveling club or college team. Meets a few of the criteria of a 9, but needs either a few more years experience or a few less years of age. 8 - Middle Expert: A lesser god; lacks one or two qualities of a nine. 9 - Advanced Expert: An ultimate god. Nationals experience. Very athletic. Can put the forehand, backhand, and hammer anywhere on the field with high accuracy. Has excellent field sense and plays good defense. Note: If you can't decide between two numbers on this scale, choose the lower one. Please pay via Pay Pal if possible. If not, We will accept checks, cash or credit card (with a small fee). We will be selling GSU Ultimate gear as well. Please pay via pay pal if possible. The $1 fee is to offset paypal's cost. Make sure register BEFORE you pay.